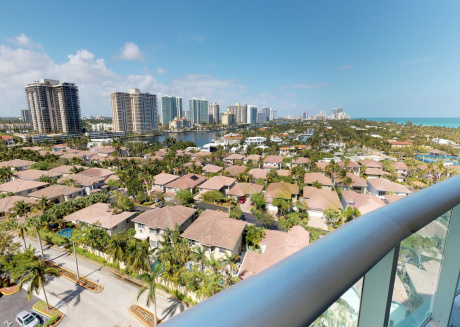 It wasn’t long ago that Sunny Isles beach was a place that no tourist had even heard of. Not just tourists, but locals weren’t too fond of it either. 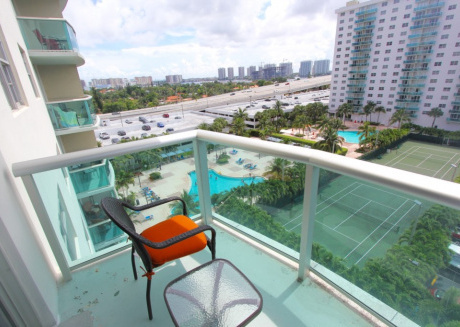 But that certainly has changed ever since the growth of vacation rentals in Sunny Isles Beach. 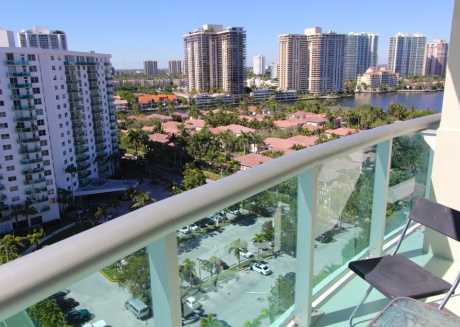 In just a couple of years, the Sunny Isles in Florida has become a luxe location with high rise hotels all around! Today, it remains pretty high up on the list of any traveler from around the world or the USA. 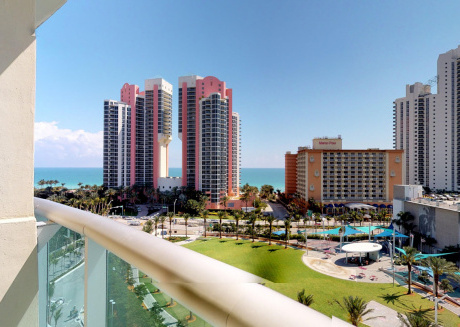 With all the development taking place, Sunny Isles Beach has become a must-visit location! That’s not to say that Sunny Isles has lost its history. The fishing pier, originally built in 1930, has been restored and reopened since being deemed unsafe. Back in 1930, Sunny Isles was known as Sunny Isles Pier due to this exact fishing pier. It’s a great spot for anyone who loves to fish and likes a little bit of a quiet time. And you don't have to leave the city at all. The crystal blue water is warm and there are no huge crowds so you can enjoy yourself freely and completely. 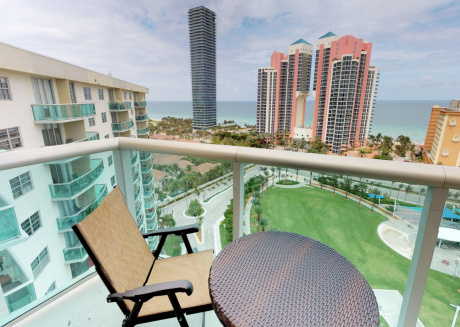 If you’re unsure why Sunny Isles is worth visiting, by the end of this read, you won’t be! 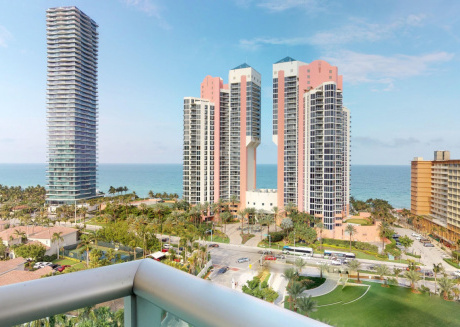 Popularly known as Little Moscow, Sunny Isles Beach is not a place that lacks culture. 20 percent of its residents are of Russian origin which means that there’s a ton of Russian delis, grocery stores, and shops to visit and enjoy. If not Russian, you can always go for Vietnamese or Uzbeki cuisine restaurants. And if you ever just want to something American, there’s that available as well. In short, Sunny Isles is a multicultural place. You’ll find everything from cheburek, poppy-seed bread, and seafood, to pho, pizza, and McDonald’s. You’ll also find restaurants of all price ranges. If you can’t really afford to eat at a fancy, five-star restaurant like Cut 38 Steakhouse every night, you have options such as Chayhana Oasis and Timo Restaurant available that serve delicious, mouth-watering food at a slightly lower price. But regardless of how much money you want to spend, if there’s one food and beverage item that everyone must try, it’s Miami Juice. Located right at Collins Ave, Miami Juice is a spot for anyone who loves fresh juices or wants to grab a quick sandwich or pizza. There’s also a little market, so you can get your hands on any travel essentials. 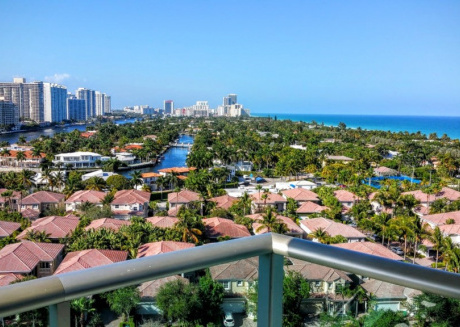 If you aren’t satisfied with the beach, food, resorts and vacation rentals in Sunny Isles Beach, there’s still plenty more it has to offer. 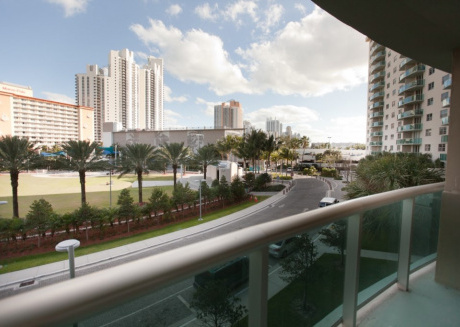 Although shopping is not the focus of Sunny Isles, you do have general stores and malls. One such example is RK Village Plaza where you can get basic supplies and souvenirs from. Of course, it also has retail stores so you can get a bit of shopping done after all. If that isn’t enough for you, you can always head to Collins Avenue. 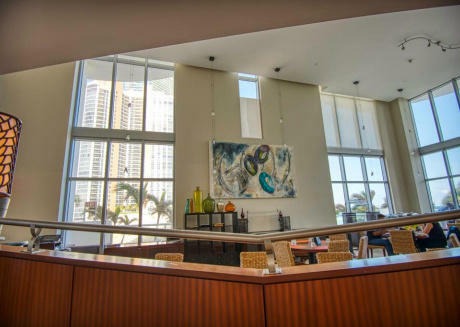 It beautifully runs parallel to the beach and is famous as a top shopping destination in Sunny Isles. Close by, you’ll also find Heritage Park that displays a breathtaking Veteran wall. The wall supports the names of residents that have served the nation in the military. It’s also a dog park and has playgrounds. 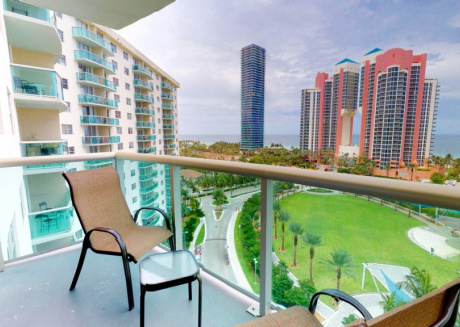 So, it’s a great family park where you can get to know Sunny Isles, and your kids can have fun running around. Gilbert Samson Oceanfront Park is another place kids are going to love, and perhaps adults as well. It’s a fun place where you can go on the rides or just sit in a peaceful corner and read a book. There are tables and benches everywhere so if you’re not one for sitting in the grass, you don’t have to. Naturists can always head on over to the Haulover Naturist Beach. And if you’re one for adventures and want to go on a boat ride, RIB Adventures Now suits you perfectly! 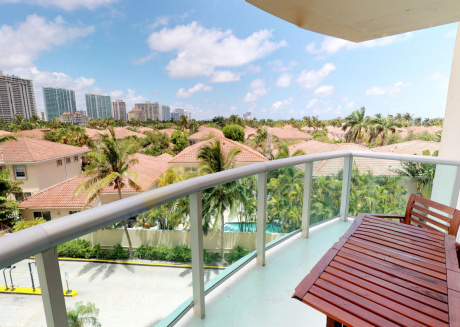 The best thing about Sunny Isles Beach is that no matter where you go, you’ll always be close to the beach. 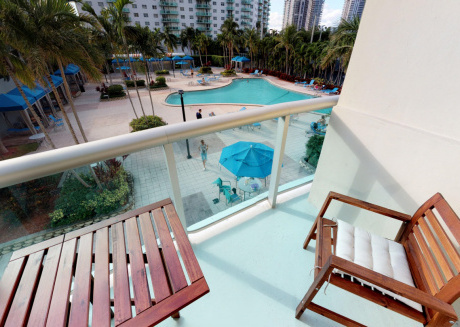 Most hotels, resorts, and vacation rentals in Sunny Isles Beach look towards the silky blue waters so you’ll always feel like you’re waking up in heaven. That leads us to the next section. 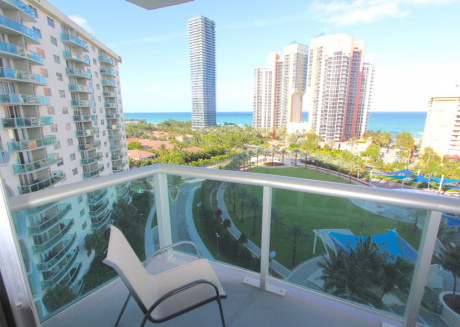 All about where you should stay while on your trip to sunny Isles and how to decide the best spot. 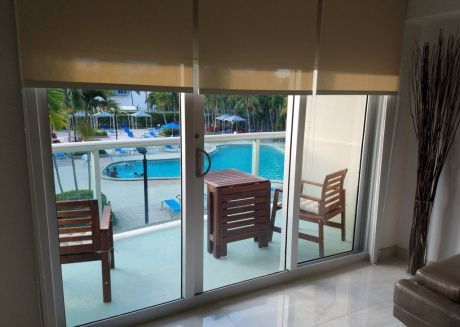 Just like the restaurants, there are quite a few options available when it comes to vacation rentals in Sunny Isles Beach. They all come at various price points. 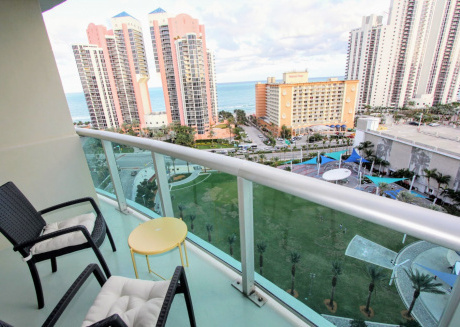 No matter where you stay at Sunny Isles, it’s an extremely friendly tourist location where you won’t be getting lost easily. When deciding where you want to stay, it’s crucial to keep in mind what you’re hoping to achieve on your vacation. If you’re looking more towards shopping, a hotel by Collins Ave is to go for. If you want to relax and free your mind, the closest to the ocean the better. So, resorts are what you should look at and private beaches are always a plus. You can always just walk in and get a room at a resort or hotel after arriving at the location but that isn’t very smart. Unless you want to risk not having a place to stay for a couple of hours or days and ending up at a cheap motel and completely ruining your experience. At CuddlyNest, we like to make sure none of our customers struggle with any of that. 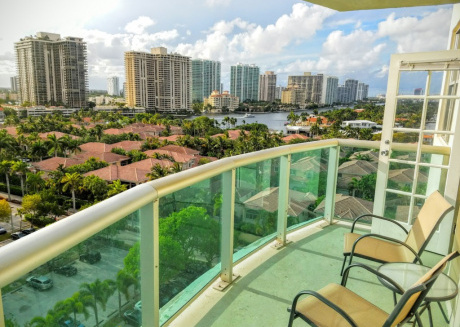 Whether you’re looking for a luxurious suite or something that won’t break your bank, our vacation rentals in Sunny Isles Beach have it all. 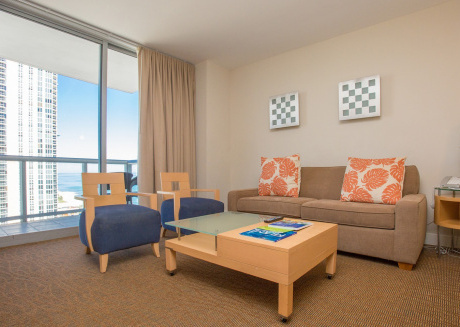 The beautiful high-rise properties offer everything from entire apartments, condominiums, or just rooms looking out at the open beach. There’s also a number of spas that you can visit and truly enjoy yourself on your summer vacation. 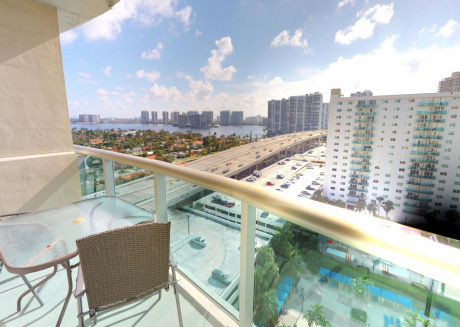 All you have to do is book the best place to crash at Sunny Isles Beach, you can find apartments, cabin, houses and a lot of cheap options for vacation rentals in Sunny Isles Beach through www.cuddlynest.com! the place where you find affordable vacation rentals in all the popular locations in USA and Europe.